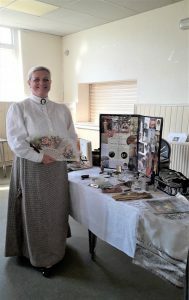 On Wed. 20th March, members of the Edwinstowe Historical Society and visitors spent an enjoyable afternoon in the company of Jo Golby who described the life of a lady’s maid when working in the great houses of the 19th century. Considered to be the equivalent of the master’s valet she was expected to be educated, discreet, honest and have exceptional needlework skills. Duties would include helping to dress and undress her mistress (sometimes 3 or 4 times a day according to the occasion); ensure all clothes were kept in immaculate condition; and know how to fashion her hair in the latest style. The day would begin one hour before her mistress arose, and terminate one hour after her mistress retired which might be 3 or 4 o’clock in the morning! She would enjoy the privacy of her own room with her own personal effects, and travel with her mistress on visits to other houses. Her wage would be between £34 and £36 per annum, with board, and often would receive her mistress’s cast-off clothing. Sometimes a grace and favour cottage would be her reward when she was retired. The Annual General Meeting will take place on Wed. 16th May, which will be followed by a power point presentation highlighting the Ladies’ and Men’s bowling teams in Edwinstowe. On Wed. 20th June, there will be a power point presentation outlining the history of the Edwinstowe Women’s Institute which was founded in 1920. 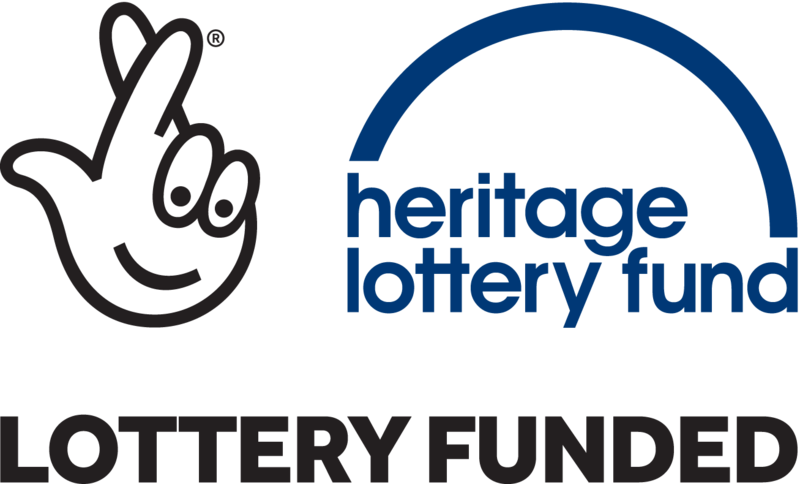 This entry was posted on 28 March 2019 by Dale Hawkes.